For those attorneys who want to expand their practice and serve clients in this area, or those who already do and need to know about the impact of recent changes in cannabis law, this program will help you navigate the industry and the legal ramifications of Prop 64 and MCRSA. What should you know about advising clients in the marijuana industry? What are the issues your clients, and you, face? You will learn about the impact and regulations related to California’s new legalization of marijuana (Prop 64). You’ll find out about how Prop 64 intersects with the Medical Cannabis Regulation and Safety Act (known as MCRSA) and how that affects both individuals and businesses. what about product liability exposure? Department of Justice Rules – Funds on enforcement? Will there be a difference in the permitting process/permits required now that it is legal? Will general shops need a medical permit? Is it even possible currently? Insurance Consideration for Marijuana businesses. The Chair of the LA Cannabis Task Force, Ariel Clark will provide an update regarding what’s going on in the City of LA and the various 89 cities within LA County, as well as the County itself, for local permitting purposes. “Great overall information regarding how complex the field is…Everything was great.” -Tim Klubnikin, Esq. “[Chris Conrad was] excellent. I will probably use his services as an expert on my next case.”- David Paquin, Esq. Michele Brooke, founder of Brooke Law Group, has a wide range of legal experience based on years of handling legal matters in a wide variety of practice areas, including lawsuits involving, business disputes, real estate matters, personal injury, employer defense, breach of contract, Proposition “D”, dispensary litigation, etc. Brooke is considered by some to be a cannabis industry expert in the growing area of Marijuana Business Law. Her firm provides California “cannabusiness” entrepreneurs with a wide range of business development, corporate counsel, employer, and litigation services. Michele Brooke is a conscientious professional, dedicated to providing excellent legal services at a competitive price. Brooke is a regular contributor to Marijuana Venture Magazine and her blog contains many published articles, as well as helpful in-house content. 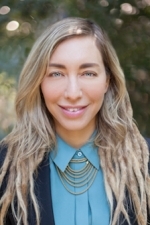 Attorney Brooke is a member of the Pasadena Bar Association, the Los Angeles County Bar Association, NORML.org, Americans for Safe Access, The Esquire Network, the Pasadena Chamber of Commerce, the American Herbal Products Association, Cannabis and Sports Nutrition committees. 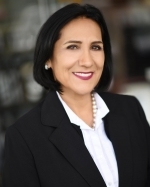 Additionally, as part of her community service, she is an adjunct professor at Pasadena City College and serves a member of the advisory board for the Pasadena City College ABA certified Paralegal Program. This firm also supports several charities: see our Community Outreach Page. Michele also writes for Marijuana Venture Magazine. As an expert witness, Chris has given testimony which has helped to shape California medical marijuana law. Visit his website for important legal information regarding medical cannabis in California and beyond. He is married to prominent human rights activist Mikki Norris. Raza received his undergraduate degree with majors in philosophy and physics from Washington University in St. Louis, where he was inducted into Phi Beta Kappa and received the Steven Schwarzschild Prize in Philosophy. After graduating from Harvard Law School, Raza completed a clerkship with the Honorable Morris Sheppard Arnold of the United States Court of Appeals for the Eighth Circuit. Raza has a longstanding interest in protecting civil liberties and individual rights, and has previously worked for the American Civil Liberties Union, the Cato Institute, and the Center for Individual Rights. He grew up in Madison, Wisconsin. Nathaniel is a partner in the firm’s San Jose office. He advises and represents clients in a wide array of legal matters. Over Nathaniel’s five years with the firm, he has achieved numerous positive results for his clients either through trial or settlement. In addition to dedicating himself to providing quality legal services to his clients, Nathaniel is also active in the legal community. He recently finished serving as a special adviser to the board of directors for the California Young Lawyers’ Association (CYLA). As a former board member of CYLA, he represented new attorneys’ interests at the State Bar by attending and speaking at Board of Trustees meetings. In addition to serving as a representative for new members, he has also presented continuing education courses to attorneys. Allison Margolin is a criminal defense attorney in Los Angeles, and freelance writer. She was Adjunct Professor of Law at West Los Angeles Law School in 2008. She is a graduate of Harvard Law School, and earned her B.A. at Columbia University with a degree in Political Science and a Certificate in Writing. Allison was profiled on the front page of both the Los Angeles Times and the Los Angeles Daily Journal in 2006 and one of her federal cases was given two front page stories in 2013. Throughout the last few years, she has been quoted in magazines ranging from the Los Angeles Times West to the New Yorker to US Weekly. 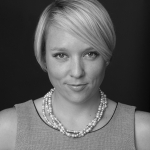 In addition, she has has written for the LA Times online, LA Daily Journal, Los Angeles Daily News on such issues as Paris Hilton’s DUI to the war on drugs. She considers herself “Green Throat,” as Allison provides source material for newspapers and tv outlets throughout the country on social justice and marijuana issues. She has been on every major network throughout the state relating to high profile cases she has handled including a recent appearance on channels 2 and 9 for a homicide case she is handling currently. Allison has also garnered much praise on the internet and has received accolades for her unique marketing. In 2004, Allison worked as a legal consultant on a reality jury show, “Second Verdict.” Allison has two children, 2 and 8. Allison Margolin is a partner at Margolin & Lawrence in Beverly Hills, where she practices criminal defense and civil litigation in both state and federal court. She is a graduate of Harvard Law School and earned her B.A. at Columbia University with a degree in Political Science and a Certificate in Writing. She has been admitted to the Ninth Circuit Court of Appeals, the US Supreme Court, and pro hac vice to federal courts in Florida and Nevada. Allison Margolin has been featured on the cover of California Lawyer Magazine, the front page of the Los Angeles Times, and the Los Angeles Daily Journal. During her spare time, she lectures on current legal issues across California. She has spoken before the Beverly Hills Bar Association, CEB: Continuing Education of the Bar, the Torrance Public Defenders’ Office, and the San Fernando Public Defenders’ Office amongst others. She has been quoted in magazines ranging from the Los Angeles Daily News to the New Yorker to US Weekly. The Founder of the Firm, Julia Sylva, California State Bar No. 109979, is rated “AV” by Martindale Hubbell — Very High to Preeminent in Ability and Ethics — Lawyer has reached the height of professional excellence and is recognized for the highest levels of skill and integrity. Ms. Sylva, a graduate of Loyola Law School (scholarship recipient) and California State University, Long Beach, wherein she earned a B.A. in Political Science, with a minor in Public Administration, has practiced law in California since 1983. Ms. Sylva is a member of the State Bar of California and is admitted to practice before the Supreme Court of the United States, the U.S. Court of Appeal, Ninth Circuit, and the U.S. District Court, Central District of California. Julia Sylva is an accomplished professional due to the many opportunities and successes she has had in her long career in politics and the law. Her achievements and accomplishments are remarkable and outstanding. Ms. Sylva’s political career began in 1976 when she elected to the City Council, City of Hawaiian Gardens. At the age of 20 years old, she was the youngest and first Latina elected to the City Council (Source: U.S. Conference of Mayors). She brings over thirty (30) years experience as an elected public official and public policy-maker. She continues to be active in the community and works to maintain close working relationships with current and past elected public officials and policy makers. This level of expertise and access is helpful to many of her clients who seek to process land use entitlements and the granting of government contracts. On behalf of clients, she regularly attends due process hearings and meets and confers with staff and elected public officials. CA General: This program is approved for 6.5 units of general CLE in California. The Bonus Session is approved for an additional .5 CLE.